Can I use a Stardock program to increase the size of the Windows taskbar? I was curious if it's possible to increase the size of the taskbar and the icons with a Stardock program. Is this possible? Thanks! If you increase the top and bottom text margins on the taskbar buttons in SkinStudio, then yes, it will increase the taskbar size. But this will also affect other areas of the taskbar, quicklaunch buttons and clock text items are a couple of items that will be affected. You may have to make other adjustments accordingly. 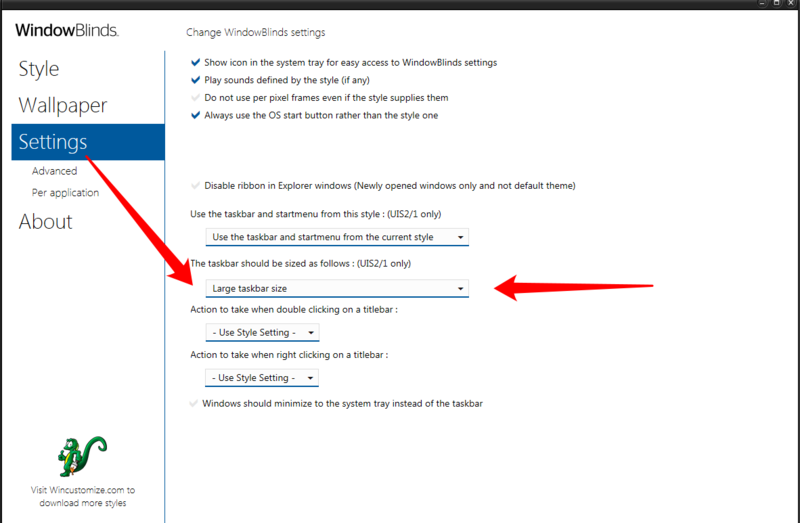 You can increase the taskbar size without any software. It can be done in Windows natively. As for the icons, same thing. It can be done with no software. Right click the taskbar, uncheck "lock all taskbars". Drag upwards to make the taskbar bigger. 1. Open Settings, and click/tap on the Personalization icon. 3. You can now close Settings if you like. I never knew that, thanks Ace!